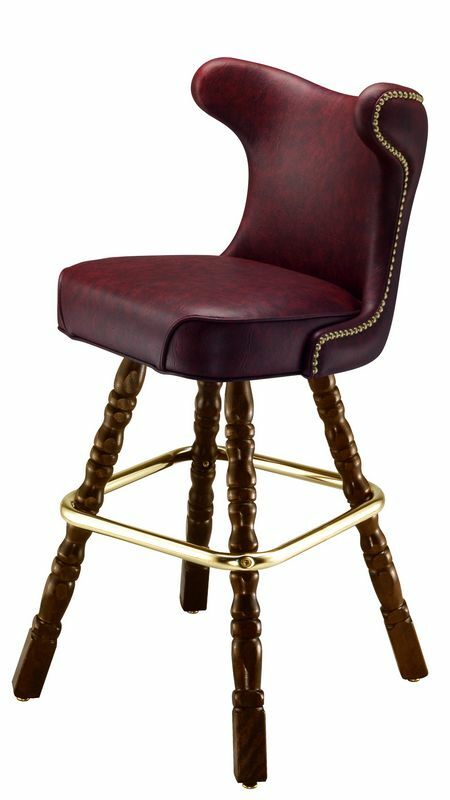 Our Merced bar stool matches our studded "Laredo" seat with our hand-turned Western wood frame. For the seat we use a hand-upholstered luxury bucket featuring a deeply padded seat. The base is made of hand-turned wood done with a walnut finish. The look is rich, luxurious, and solid. 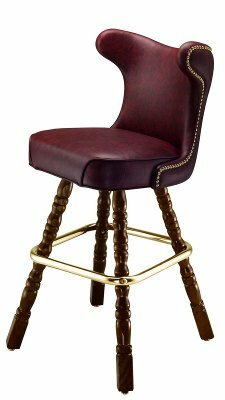 This bar stool comes standard with a 3 degree automatic return swivel. A brass foot rest completes the look. Made in the USA. Unless otherwise specified, seat will be finished with brass nail head trim as pictured.